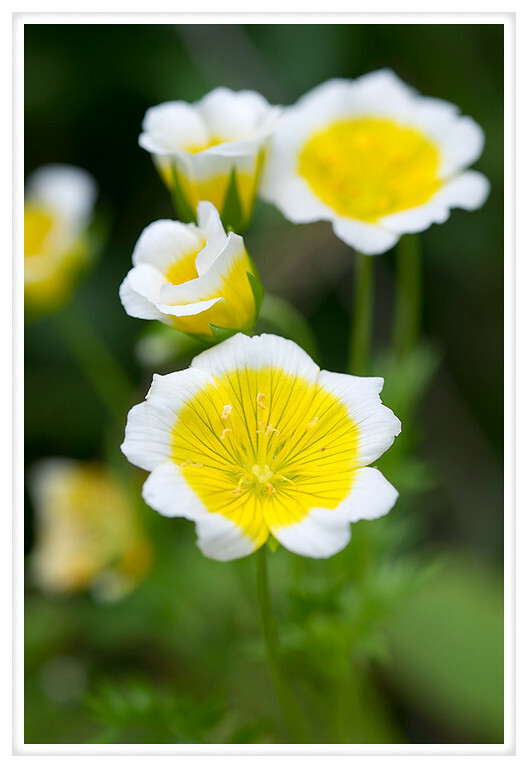 These little flowers are meadowfoam, a lovely native plant that self-seeds and will slowly fill in the gaps in your garden. They make my happy because I can imagine two eyes and a smile in the middle and you have the iconic happy face. Most of the flowers are still opening, I can't wait until there are big swaths of yellow to contrast against the mellow purple of the beach daisies that are just starting to bloom now too.